See Fashion works through an online platform, aspiring fashion designers submit and share their designs. See Fashion will support/manage the manufacture and distribution of their products. 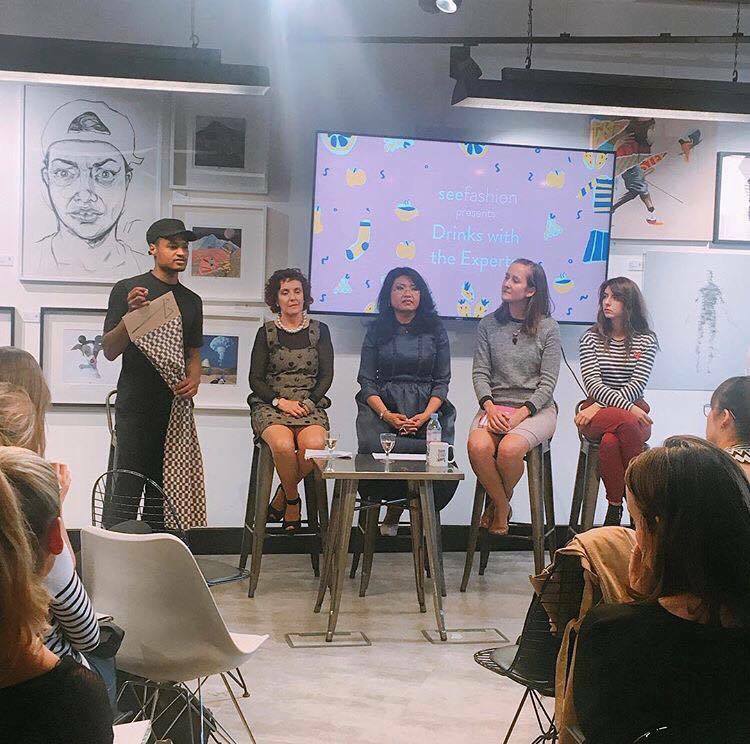 I, Martin Brambley, research Fellow at The Sustainable Angle was delighted to sit on the panel hosted by See Fashion. I brought with me a small selection of fabrics including 100% knitted Lenzing fibres, to exemplify the need to diversify the fashion fibre basket. Utami Giles – Was asked what she though was the most sustainable fabric. She referenced her own experience of visiting a small village where. Their Hair fibres were brushed from an animal, spun and woven all within the same vicinity. Utami emphasised the benefits of slow and regional processing. Not to mention this shawl is something she now treasures dearly. Charlie Ross – Was asked about what consumers can do! She responded with an anecdote about her realisation that often if she was buying in to fast fashion, someone else was getting exploited. She was not prepared to do this and therefore stopped buying clothes with fabrics that exploited people. Charlie would encourage anyone to be disciplined about this. Andra Sandru – When talking about ethical manufacturing, enlightened the group on how to persuade Buyers to buy in to more ethical manufacture. She was commissioned for a large quantity of T-shirts. The Buyer wanted Non-Organic Cotton. Andra was knowledgeable enough to emphasise the properties, lower environmental impact, and small mark-up that can be compensated by the consumer appreciation of organic garments. She therefore persuaded the buyer to spend marginally more. I think Andra is a shining example of a young fashion designer who has the knowledge to tackle and argue against profiteering. Dr Carmen Hijosa – Spoke about supply chain transparency and revealed that Pinatex don’t allow every designer to buy their fabrics. They take the life cycle of their product so seriously and want designers who buy it to be considerate of the environmental impacts of their production. I was asked about sourcing in small quantities. I believe that Offset Warehouse is great place to buy small minimums of more sustainable Textiles, some of the mills we work with including Seidentraum, Lebenskleidung also have websites where you can order by the metre. 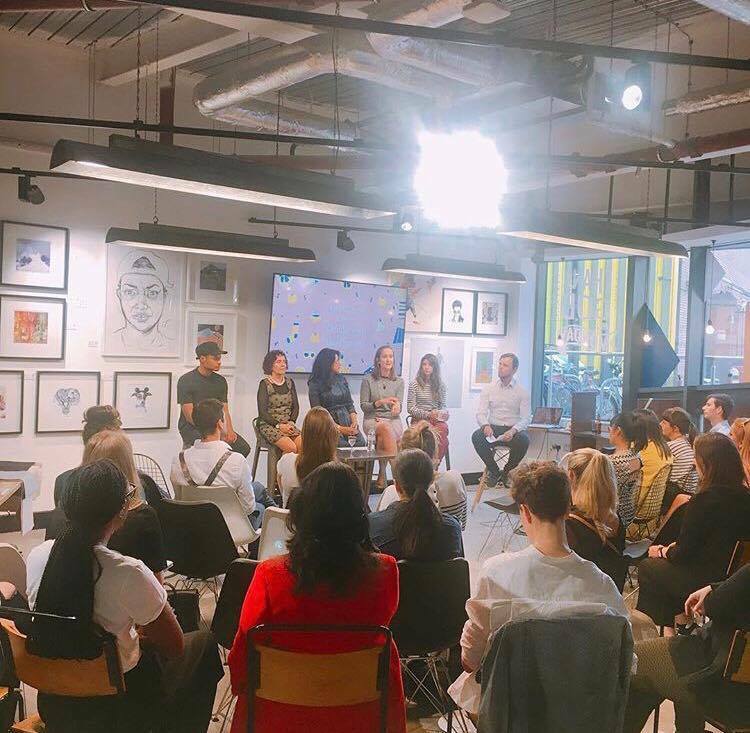 I went on to talk about how if designers have knowledge about sustainable textiles and are prepared to ask the right questions they are able to source textiles more sustainably. Thank you so much to See Fashion for having this panel.